The Yankees 40 man roster crunch has been a subject of much debate now during the entire season. The Yankees have continued to try and get younger and in those effort they have been able to hold onto a lot of talent. The one problem that comes with this is keeping enough room on the 40 man roster for everyone, and making sure to avoid losing someone via the Rule 5 draft. If you understand the Rule 5 draft you can continue to the next paragraph. For those of you who are unfamiliar with the rule 5 draft. A quick summary of it for you is that if a player has been in the minors for five seasons they’re eligible for the Rule 5 draft. To keep a player from being taken in the Rule 5 draft you must put them on the 40 man roster, or they’re subject to being taken by another team. If a team selects a player they must put that man on their 25 man roster, and he must stay with that team in the Major’s all year long. They can not be sent down to the minors. If they are sent down they end up going back to the team that they originally were with. One example of this was last season when Jake Cave was selected by the Reds, but sent back to the Yankees in spring training because they deemed him not ready. Pitchers are selected more often that position players because it is easier to hide a pitcher on your 25 man roster than it is to take a position player. The Yankees currently have 46 men on their roster at the moment. Of those 46 players 3 of them will not be around because they are free agents. Mark Teixeira, Eric Young Jr, and Billy Butler will all be gone, so this brings our total down to 43 players. 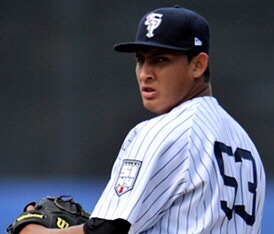 The Yankees currently have 10 players eligible for the rule 5 draft they include: Tyler Webb, Dietrich Enns, Kyle Higashioka, Jake Cave, Brady Lail, Cito Culver, Jorge Mateo, Miguel Andujar, Giovanny Gallegos, and Mark Montgomery. Below is a link to the Yankees 40 man roster where you can check it out for yourself if you would like. I will give my analysis below on who I believe they will get rid of, and who I believe that they will protect. Let’s start by figuring out who the Yankees should protect. 1)Tyler Webb- He is a 26 year old left handed relief pitcher in AAA. This season he put together a 3.59ERA over 72.2IP. His career ERA in the minors in 3.48. He put together a solid year last year with a 2.84ERA over 38 innings after recovering from an injury. Personally, I don’t think that Tyler Webb warrants a roster spot. You have to ask yourself who you would rather have. Tommy Layne who is controlled for 5 more seasons, and has put together a solid campaign with the Yankees this season, or you can go with Tyler Webb who has a higher ERA in AAA than Layne does in the MLB. 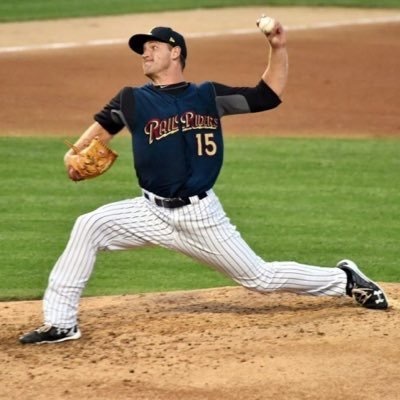 2)Dietrich Enns- He is a 25 year old left handed pitcher for the Yankees who just never has seemed to fail. Enns was selected in the 2012 draft with the 19th round pick from Central Michigan. He was originally signed as a relief pitcher, and in 2014 would have Tommy John surgery. The lefty came back and pitched magnificent over his tenure in the Yankee farm system though. Over his 5 years in the Yankee system he owns a career ERA of 1.87 over 342.1 innings pitched. Last year he posted a 0.61 ERA over 58.2IP in his first shot at starting. This year has been much of the same for Enns as he continues to dominate. This season he posted a 1.73 ERA between AA and AAA. He did this over 135 innings. With numbers like these most are wondering why he wasn’t already on the roster and in the rotation. The knock on Enns has been that he is supposedly a “AAAA” pitcher. They don’t think he has the stuff to get Major Leaguers out on a regular basis. He has a fastball that sits in the high 80’s to low 90’s. He has a curveball and a slider that he uses to give the batter different looks that are both average ptichers; however, he has mastered the change up. Enns has a plus pitch, and a put away pitch with his change up. He uses it along with his fastball and pinpoint control to confuse hitters. My arguement for Enns is that pitching is a mental thing, and if you can outsmart opposing hitters, and you have a pitch you can put them away with. Then you have the chance to be successful. Also, let’s not forget that the Yankees moved Enns to the bullpen at the end of the season for an innings restriction. If they weren’t playing on keeping him around I highly doubt they would be concerned about his innings limit. Verdict: Dietrich Enns is added to the 40 man roster. 3) Kyle Higashioka- This has been a surprise to most people in the league. Higashioka was never much of an offensive player, but this year the 26 year old has put up impressive numbers behind the plate. He hit .276 with 21 home runs and 81 runs batted in. He split time between AA and AAA this season because of Gary Sanchez. This is a tough decision to make because if he is not added to the 40 man roster he is gone for sure because he is also a minor league free agent. The Yankees already have 3 catchers on the roster with Sanchez, McCann, and Romine. Higashioka has shown that he is capable of playing adequate defense and he has shown promise with his bat this season. I would find it hard to believe that the Yankees would give up on him after he put together the season he did this year. 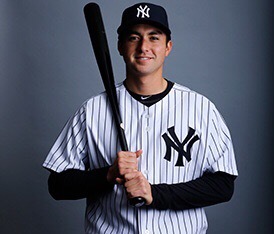 Another thing that plays into his favor is that the Yankees have 3 catchers that all could be on the 25 man roster, but Romine looks like he is the least likely to stay, so I think the Yankees are planning on moving Romine and adding Higashioka to the roster. Verdict: Kyle Higashioka is added to the 40 man roster. 4) Jake Cave- Last season Cave was taken by the Reds in the Rule 5 draft, but he was quickly sent back because it was deemed that he wasn’t ready for the majors. Cave has put together respectable seasons and is a career .281 hitter in the minors. This season Cave has put together a .268 average with 8 homers and 55 runs batted in. He plays above average defense and he has been solid this season in AA and AAA. Cave was also named MVP of the governors cup this year as well. The problem for Cave will be the depth that the Yankees have in the outfield position. To put Cave on the roster you would have to think about moving either Williams, Hicks, Austin, or Refnsyder. 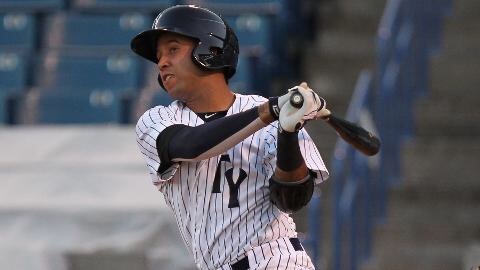 The Yankees also have a talented core of young outfielders coming through the system as well. Most notably, Clint Frazier. While all the things listed above about him are nice. I still don’t think that Cave is major league ready, and if a team wants to take him on the Rule 5 draft. I would be surprised if he was able to last it out in the Majors for the entire season. I think that you can get by with another season without putting him on the 40 man roster. 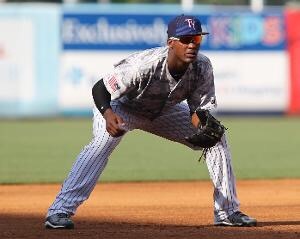 5) Cito Culver- He was drafted in the first round by the Yankees in 2010. He was known to have a great glove, but they were looking to work with his bat. Sadly, Culver’s bat never truly came around. He is a career .232 hitter in the minors, and even though he put together his best season this year batting .263 in AAA. At this point it seems far fetched for the Yankees to keep him on board. If someone were to take him he could possibly stay on their roster due to his glove, but I would be willing to say that the Yankees wouldn’t lose him in the grand scheme of things. 6) Jorge Mateo- This is by far the easiest decision of them all. 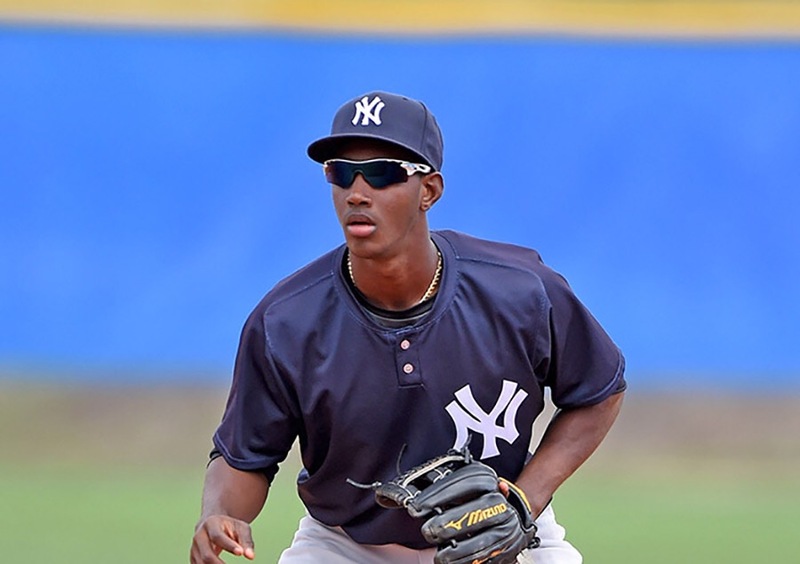 Jorge Mateo is one of the Yankees top prospects and there is no way that the Yankees will allow anyone a shot at their highly regarded prospect in the rule 5 draft. Without a question he will be added to the 40 man roster. 7) Miguel Andujar- Once again a no brainer for the Yankees. Regarded as one of their top prospects they will not allow someone to come in and take him away from them. Andujar will undoubtedly be added to the 40 man roster. 8) Giovanny Gallegos- If you haven’t heard of Giovanny Gallegos yet, then you need to check him out on the internet. The 25 year old struggled his first couple seasons in the minor’s as a starter. He was on and off with injuries, and then the Yankees put him in the bullpen and he has dominated ever since. This season he has pitched 78 innings in the minors between AA and AAA while striking out 106 and walking just 17. His ERA was a mind boggling 1.27 and he allowed just 48 hits. Batters hit just .175 off of him this season, and his WHIP was 0.83. Gallegos has a mid 90’s fastball that sits well with his off speed stuff. The thing that I haven’t understood about Gallegos all season is while Anthony Swarzak, Kirby Yates, and company struggled in the Majors. I have wondered why Gallegos wasn’t called up. After all he is a Rule 5 eligible pitcher, and I can’t understand why he hasn’t been called up. Even though Gallegos is a righty he has torn apart left handers this season. They’re batting just .119 against him with a WHIP of 0.55. 9) Mark Montgomery- Once thought of as the next coming of Dave Robertson. Montgomery has struggled to make progress through the organization. He owns an impressive 2.33ERA over his career in the Minor’s and he put together a good season between AA and AAA this season with a 2.56ERA. The 26 year old has struggled to progress through the Yankee organization, but with the struggles of the middle relief core for the Yankees I find it hard for them to watch him leave. 10) Brady Lail- I saved the best for last. At this point last year if you would have even told me that there was any thought process into whether Lail should be Rule 5 protected or not I would have laughed at you. Lail shot through the minors and last year he posted an ERA of 2.91 between three different levels of ball over 147 innings. The problem with Lail is that he has struggled in AAA. Last year he posted a 4.62ERA in AAA and this year he has posted a 5.07ERA in AAA. Lail had been so solid for the Yankees in the other leagues, so it is a bit of a mystery as to why he is struggling so badly to adjust to AAA. With that being said he is only 23 years old, and it is to early to give up on a pitcher who has put together solid numbers through his entire minor league career. He has been a work horse in the Minor’s and at 23 years old it’s to soon to give up on this guy. His last start in AAA he went 7 innings and allowed just 2 runs, so maybe that is a sign of good things to come for 2017. Now that we have gotten through that, that means that we have added seven players from our minor league system to the 40 man roster. We were at 43 before we went to the minors, so now we sit at 50 players, and we have to cut 10 players to get us down to our desired 40 man spot, so who goes? Johnny Barbato– Though Barbato showed some signs of promise early in the season this year he has been a disaster. He has posted an ERA of 7.62 and struggled to ever retire batters. Ultimately this decision was easy to make. Barbato hasn’t been able to put it together and he has probably seen his last days in pinstripes. Richard Bleier– This is a tough decision. He’s been through 18 innings with the Yankees and has been able to post a 2.50ERA, but the 29 year old doesn’t seem worthwhile to keep. When thinking of this move you must think who would you rather keep? The 23 year old Brady Lail or the 29 year old Richard Bleier. He simply doesn’t fill a big enough role for the Yankees, and ultimately that is why his time with the Yankees will be over soon. Nathan Eovaldi– Of all the players this will be the saddest one. Eovaldi had some of the best stuff that I have ever seen on the diamond when he was on. He always baffled me that he had such good stuff, but struggled to get it together. Obviously, had Eovaldi stayed healthy there is no way that he would find himself on this list, but with his elbow injury and his second tommy john surgery on the way there is a chance that he will struggle to make it back to where he was before. His contract is also set to end after next season which he is expected to miss. There is no reason to keep him on board unfortunately. The Yankees will more than likely non-tender Eovaldi making him a free agent; however, the Yankees could talk to him and explore the option of signing him back on a minor league deal if he were interested, so that he had a shot at coming back after his injury. Connor Mullee- He posted solid numbers in the minors posting an ERA of 2.00 for his career, but he has been injury prone his entire career. He also apparently has been shy of rising to the moment according to articles. Mullee has likely thrown his last pitch as a Yankee. 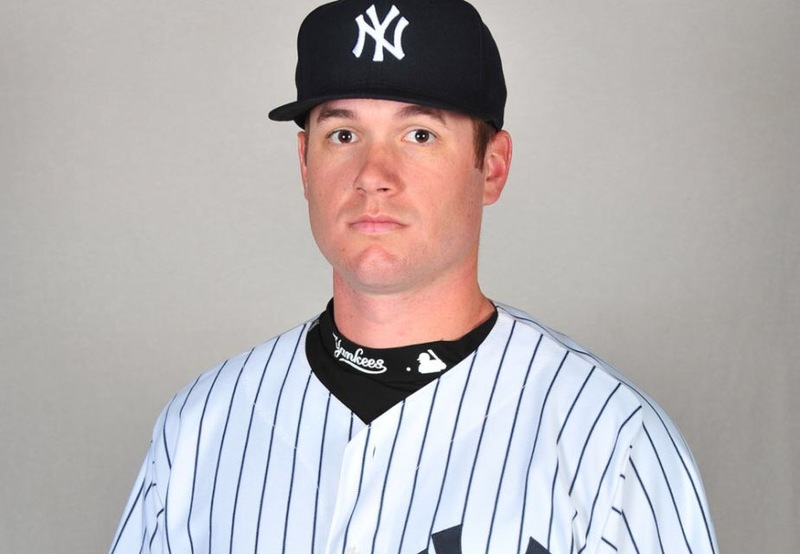 J.R. Graham– Perhaps a little unfair because of the success he has had for the Yankees in AAA this season, but he has a career ERA of 5.10 in the majors, and he hasn’t dominated at the minor league level with a career ERA of 3.36. The Yankees acquired him from the Twins this season to give themselves some bullpen depth, but he will likely never throw a pitch in pinstripes. Anthony Swarzak- Swarzak has been out right terrible in the majors this year. The 31 year old has posted an ERA of 5.90 and he has only been getting worse as his last seven outings he has an ERA that almost touches 9. This decision is a no brainer. Kirby Yates- Kirby never was able to put it together this season. My initial impression of Yates was “why did we want this guy? He is a fly ball pitcher, his ERA was terrible and he’s coming to New York.” He posted a 3.52ERA in April and then was a nice piece of the pen in May posting a 1.46ERA. Just as I started wondering if this guy could have truly figured it out I realized my gut was right all along. He had a May which saw his ERA come in at a whopping 14.04. From that point on he wasn’t the same for the rest of the season. Yankee fans across the Universe are still mad at him for his 2:30 in the morning debacle against the Rangers. Yates has likely found himself on a train headed out of New York. 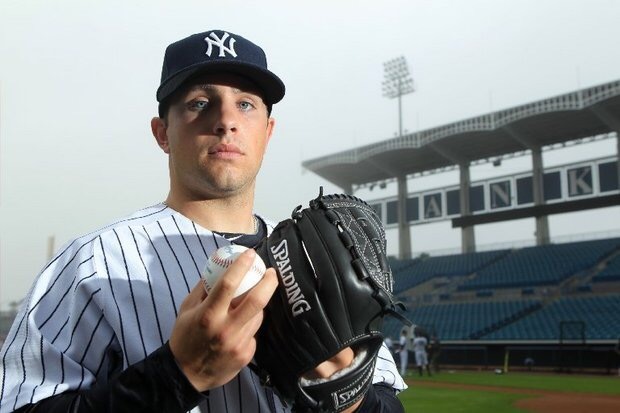 Austin Romine– Next to Eovaldi this was the hardest one to say good bye to. I have always been a fan of Romine’s. Last year when he was hit in the head and had to go to the hospital in AAA he answered it by coming back and going 5-5 in his next game back. He has always been excellent defensively, but has struggled with the bat. I also admired how prepared he came to spring training this year when he beat out Gary Sanchez for a spot. He swung the bat really well in the first few months, but since then he has started to cool off. He has also fell victim to losing at-bats to Gary Sanchez and Brian McCann. The fact is that one of the catchers had to go, and while I don’t see anyone giving the Yankees anything that would entice them to dump McCann I look for Romine to be moved. Donovan Solano– Solano was signed as a minor league free agent from the Marlins. He has been a journeyman utility player. Even though he put together a solid season in AAA this season. Players like him are a dime a dozen, and I don’t think he warrants a spot on the 40 man roster. 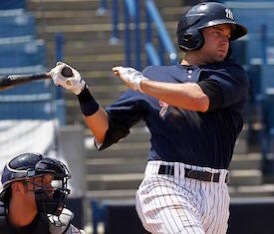 Nick Goody– Though Goody has put up good minor league numbers, he has given up an alarming amount of homeruns and has really struggled in the Major’s. This is a tough decision given Goody’s youth, but there is a chance that Goody could end up back with the Yankees on a minor league deal if not claimed otherwise. This would put the Yankee roster at exactly 40. Remember, the Yankees have Pinder and Rumbelow coming off the DL, so there bullpen depth will still be strong even after making all these moves. I would still look for the Yankees to make some moves. Rosters must be set by November 20th, and the Yankees still have some small decisions to make. They have Austin, Refsnyder, and Ackley next year to work on a potential back up for a Greg Bird. The Yankees may look into signing somebody, but don’t look for them to make any majors moves. There is a chance they would look at a reunion with Aroldis Chapman, but expect another quiet free agency season from the Yankees. The Yankees will go into next season with an apparent starting rotation issue. Look for the Yankees to make a move to try and add more depth to the starting rotation. By keeping the pitchers on the 40 man roster slim it gives you opportunities to call up others who aren’t on the 40 man roster such as: Montgomery, Adams, and others. After looking at the 40 man crunch the Yankees have been faced with. It is easy to see why they dealt Ben Gamel for two young pitchers. Expect to possibly see more deals like that one. Regardless, the Yankees are going to be faced with an eventful off-season and it should make for an interesting winter as well. Love the analysis…… think you pretty much nailed it…..as we have discussed, I’m not sure Gardner comes back, because one of the kids could take that over, or, truth is I think they want Hicks to play…. and so the nightmare continues…… you are probably right about free agents, so I guess it’s a wait and see….. I still believe in Cash and I think there’s a plan……we as fans aren’t the most patient folks….lol….